BulgariCo today introduced several products that in combination represent a complete outsourcing solution for our Romanian customers. It becomes apparent that many Romanian businesses consider if not relocating to Bulgaria to have a parallel Bulgarian operation that helps them optimise their taxes within the boundaries allowed by the law. BulgariCo professionals pay regular visits and conducts sessions with potential customers both in Rousse and Bucharest. 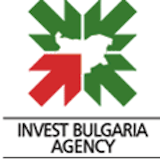 InvestBulgaria Agency (IBA) – the government investment promotion agency under the Ministry of Economy, Energy and Tourism has released a brochure investment climate and business opportunities in Bulgaria. It seems that Greece, which is currently coping with serious economic challenges, has seen an investment heaven in Bulgaria. Over the first three months of 2010, Greek companies have invested in Bulgaria a total of 37.5 million euro, against only half a million euro for the same period of last year. According to a publication in the Greek newspaper Impersia, this investment boom means that the Greek businessmen are seeking a secure place for their money and Bulgaria appears more attractive to them than their home market. According to Greece’s statistical watchdog, the volume of the trade exchange between Bulgaria and Greece hit 414.1 million euro in the first trimester of 2010. Bulgaria has established double tax agreements with more than 65 countries, including all major economies all around the globe. These have been proved in time, as most of them have been signed 20+ years ago and yet more are about to be established. Bulgarian Government is also planning to include even more articles which will easen the tax policies between the countries. 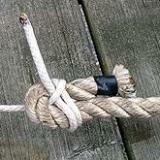 For the complete list please visit the site of the Bulgarian Revenue Agency here.